Did you notice that you're name will also appear on the label? Surprise! 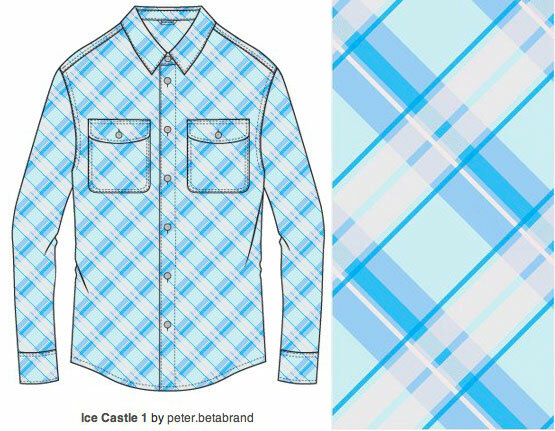 and thank you again for creating this plaid pattern template! we look forward to doing more like it! I'm so excited! Thanks SO MUCH! That's the wrong plaid sonflower. 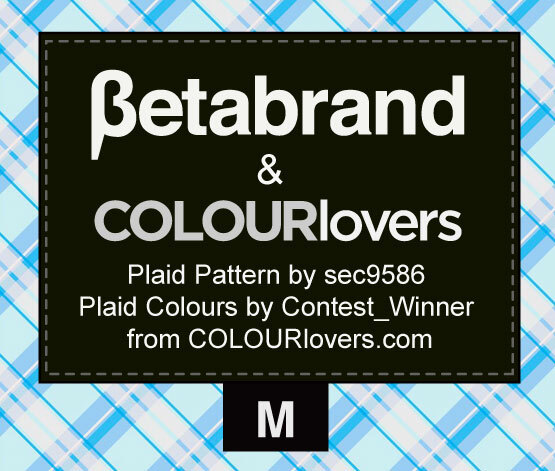 You need to base it on this plaid:Betabrand2. Once it's saved, it will automatically go into the gallery. Let me know if you require any other assistance. We updated the link to make it more clear which pattern to color. It's there, and looking fabulous! Note: Actual printed shirts will display horizontal/ vertical lines and not diagonal lines. Ummm... then why are the contest entries displayed with diagonal lines? This is pure speculation, but I'm guessing they didn't specify when they asked sec9586 to design it, but really wanted it horizontal. Because all the images are diagonal, it's easier to keep them that way for now. Will only the first pattern created will count as an entry, and can multiple entries be submitted? I can't win this... but I had to enter anyway. So fun to see this all come together. I want to keep coloring these all day! lol I can't win either! There is now a super cool badge you can grab - just click on the shirts! here's one of mine! "Plaid Party"
:/ When I published, i was happy with my pattern, but when it's stuck on the shirt it's kinda changed! @Faeleia the shirt badges are turning out fine. :) Great presentation of these! I think they look fantastic.... I like the second best. I think also, as fabric the darker lines may be a bit more faded out than in the digital version? Just a thought. Thanks for playing! Oh there are plenty of colors! 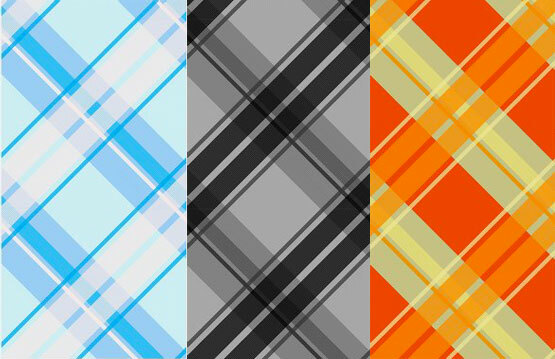 ;) I have a certain palette I generally like to create any pattern I favor, with. :) Had to give it a go. Can I just say that I woke up this morning with 835 NOTIFICATIONS?!!! You all colorin' fools!